Moving home or simply need to transport a large item? 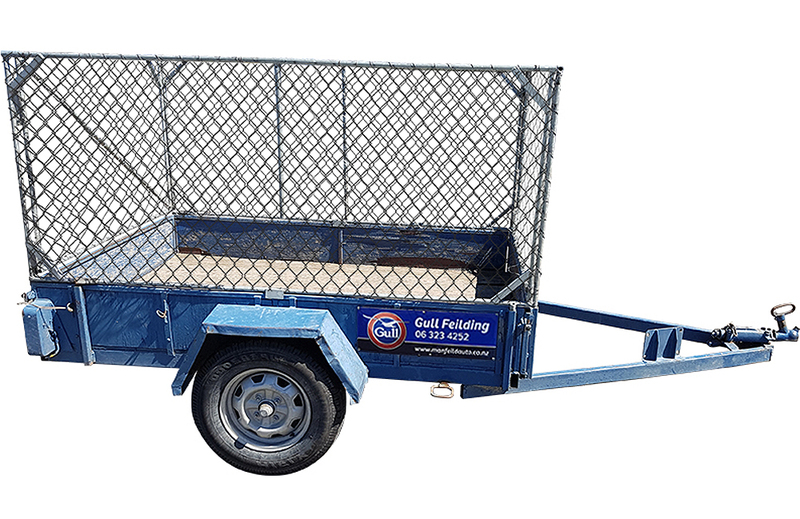 We have a range of trailers for hire to shift most things quickly and efficiently. A bond may be required. 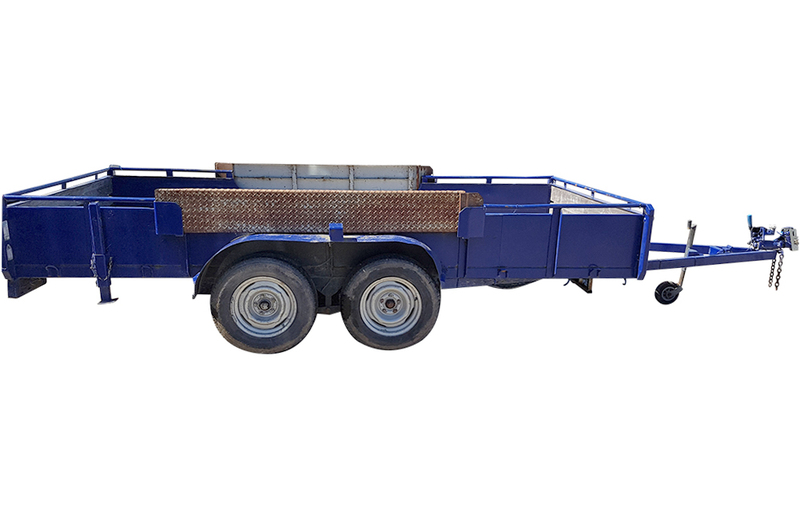 All drivers must supply their full driver’s license as identification upon hiring our trailers. 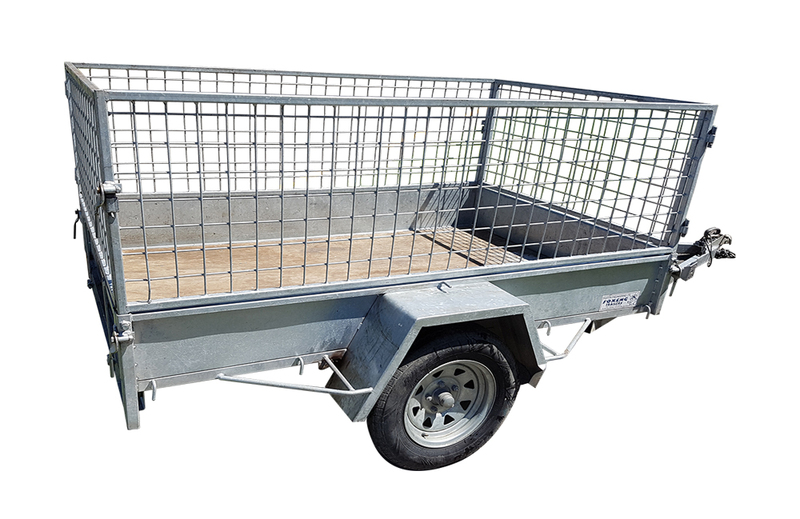 Fill out our form below if you are interested in hiring any of the listed trailers. Or give us a call on 06 323 4252. The plant or equipment shall be maintained in good working order by the hirer during the period and must be returned clean after use. A minimum charge of $30.00 will be made to cover cleaning costs of equipment returned in dirty condition. 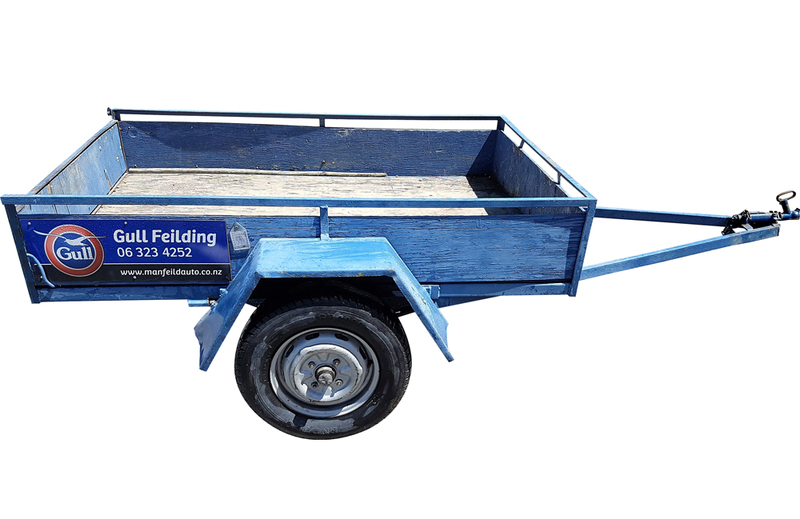 No liability shall be incurred by Manfeild Autocentre Ltd, for any consequential damage or loss which the hirer may suffer due to the plant or equipment breaking down during the periods of hire, or to non-delivery through unforeseen circumstances or to negligence by the hirer in the use of the plant or equipment. Upon returning the plant in the same good order and condition as it was received, and within the above specified period, the hirer shall be refunded in full the amount of his deposit. In the event of the hirer not complying with this or any other condition, the hirer’s liability shall not be limited to the amount of the deposit. The hirer agrees to pay for all parts lost or damaged during the term of hire, and the replacement cost of tyres or repairs to punctures. The hirer agrees to pay the hire charges as set out above and acknowledges receipt of the above-mentioned plant in good order and condition, and fit for the purpose for which the owner lets it on hire. In the event of the plant or equipment detailed over not being returned within the specified period, the hirer agrees to reimburse the representative of Manfeild Autocentre Ltd the full expense of repossession by such representative or a sum of $250.00 whichever is the greater. Initial agreements for hire are for the day of hire only unless otherwise noted on the face hereof. Unless otherwise stated, plant or equipment must be returned before closing time on the day due for such return. The owner shall have the right to determine the hire and repossess the goods hired at any time without notice or payment of compensation, including the power to enter on premises or a vehicle to exercise such right.